The New Hampshire House of Representatives is discussing House Bill 1604, an effort to rename “Columbus Day” to “Indigenous People’s Day.” The bill is sponsored by Reps. Timothy Horrigan, Amanda Bouldin, Wayne Burton and Janet Wall. Burton said that the most significant potential impact of the bill is raising awareness of indigenous people in New Hampshire and the fact that a majority of New Hampshire land belongs to the Abenaki tribe. “This bill will help people become more aware of the rich heritage of the Native Americans, whose history expands beyond the time English settlers arrived in New England,” he said. The bill also hopes to encourage harmony with Native Americans and reject racism and genocide, he said. However, Burton added that he recognizes the difficulty of passing the bill. “I doubt that the bill would be passed,” he said. Many Italian-Americans see Columbus Day as their national holiday and opposed the bill, Burton said. 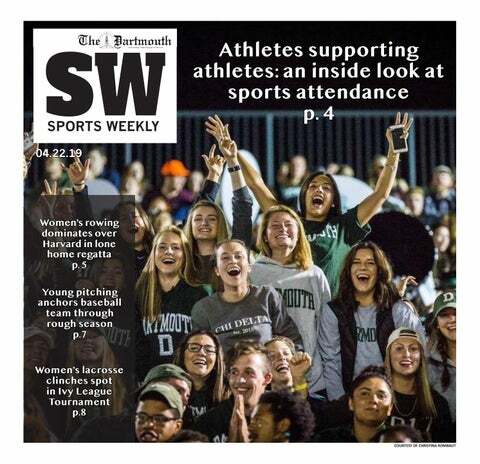 Muriel Ammon ’21, Gabrial Canfield ’21 and Tia Folgheraiter ’21, members of Native Americans at Dartmouth, also expressed doubts about the possibility of passing the bill. NAD organizes many events to raise the Dartmouth community’s awareness of Native American culture, such as the annual protest, drum circle and fire ceremony on the Green at midnight before Columbus Day, according to Ammon. Burton said that he relates personally to the brutality of both racism and genocide through his experiences as a captain serving in the Vietnam War. Burton said he hopes the bill will introduce positive discussion against racism and point out the dark sides of Columbus Day, as it currently celebrates Christopher Columbus, who has been accused of starting the slave trade and engaging in other atrocities, as a hero. He said that many people in New Hampshire are supportive of the bill and have provided powerful testimonies, including Kathleen Blake, chair of the New Hampshire Commission on Native American Affairs. According to a transcript of her testimony, Blake said that the bill will officially “recognize that the indigenous peoples were really the first settlers of this land, ... generate a more accurate portrayal of the history of the indigenous peoples, and of the conflicts and struggles between them and the colonists and [make schools] focus on Indigenous Peoples’ Day.” Canfield added that she is aware of Italian-Americans’ reasons for opposing the bill. Folgheraiter said that she hopes the bill will be passed, adding that she will also bring up the bill in NAD meetings to increase support for the bill at Dartmouth.